My frequent trips over the holidays to The Fort in Taguig got me wandering around Bonifacio Central Square. It is where Pottery Barn, (which I haven’t attempted to go in because I don’t know if I can handle it heehee) Baskin Robins, Marks & Spencer Cafe, Hamleys and Diptyque boutiques are. Aaaah yes Diptyque, the most raved about, loved, and probably the most used element of a Pinterest or Instagram-worthy beauty shot photo. 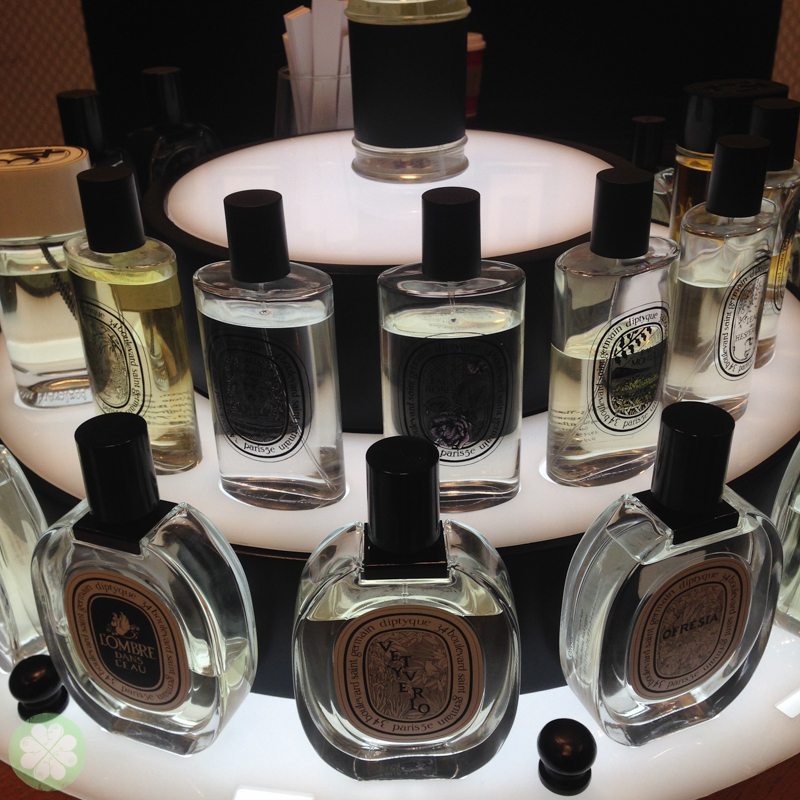 For the longest time, I was able to control myself whenever I pass by the counter of Diptyque in Rustan’s. But upon seeing the very first Diptyque store in Bonifcaio Central Square, I could no longer resist so I stopped & smelled the roses este Diptyques. Ahihihihi. In 1961, three friends named Desmond Knox-Leet, Christiane Gautrot, and Yves Coueslant, all from the world of fine arts and décor, decided to open a store in Paris, on 34 boulevard Saint-Germain, where they displayed and sold their own plain and print soft furnishings. They also gave their customers the opportunity to discover the biggest names in traditional English perfumes, then little known in France. Notice the different textures and fabrics? The founders Chrisitiane & Desmond collaborated on designing fabrics and wallpapers for Liberty & Sanderson and these are some of their work. 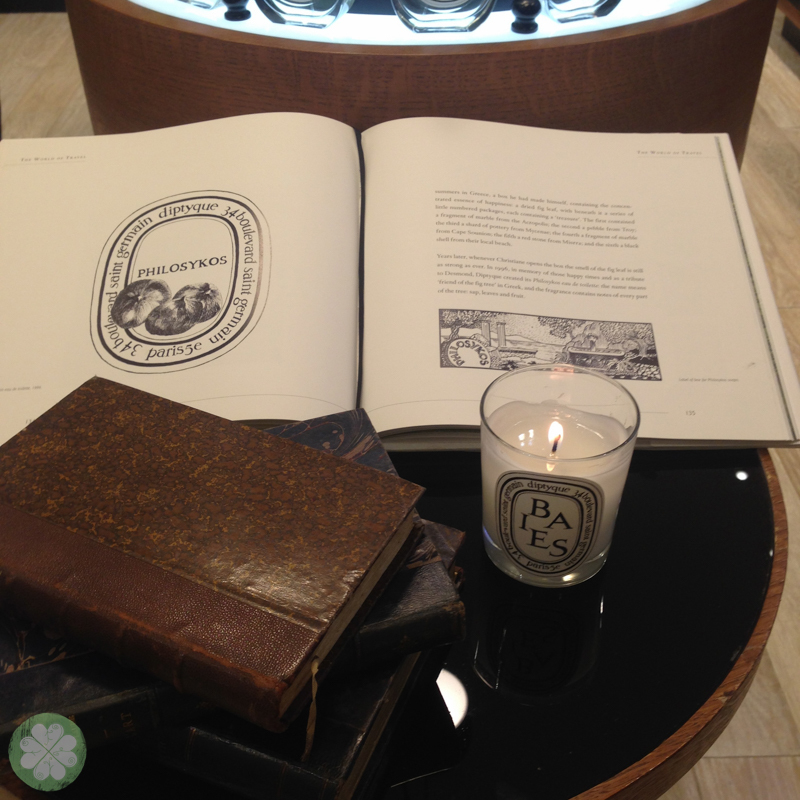 Another significant element of Diptyque is their iconic label found in their perfumes and candles. The oval labels echo the shape of an 18th-century medallion, a pattern found on the Prétorien fabric designed by Desmond Knox-Leet in 1963: The broad oval pattern suggests the shields of ancient Rome. 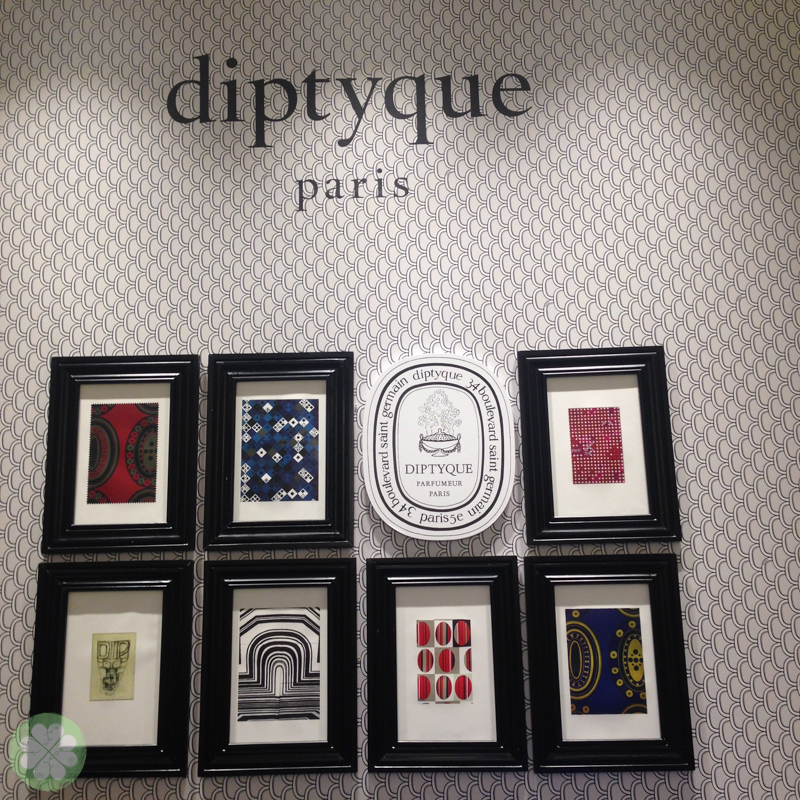 It is an emblematic shape, perpetually reinvented and found on all products made by diptyque. The oval is the signature shape of the eaux de toilette bottles and the white porcelain candleholders of the 34 boulevard saint germain line, as well as the scented ovals and solid perfumes. While the dancing letters are a signature of the ovals in the home collection, the back labels of the Eaux de Toilette and Eaux de Parfum shows an illustration of each scent. The intoxicating scent of Baies greeted me upon entering the store. 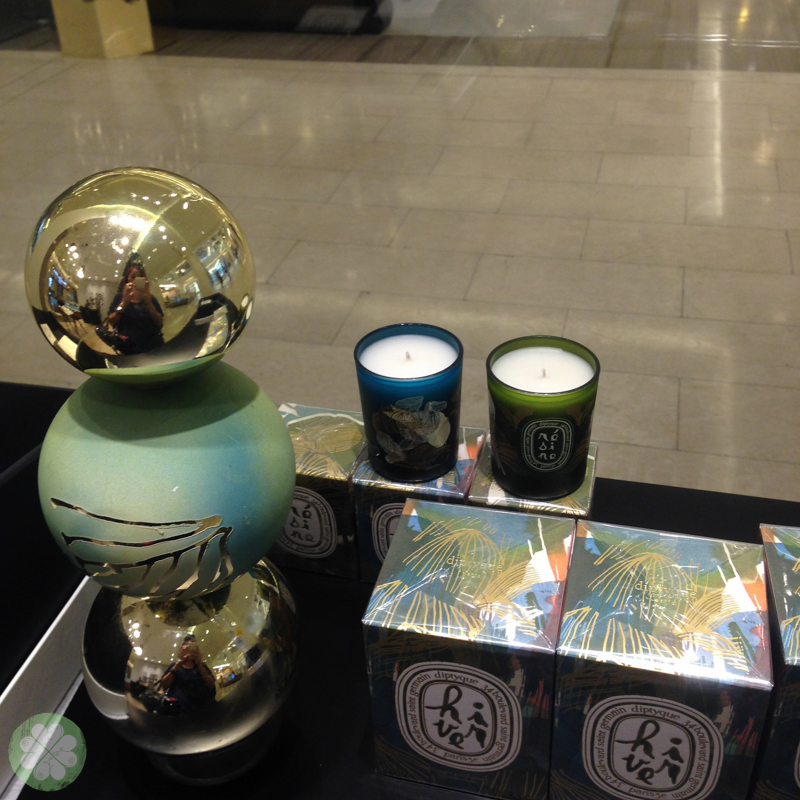 I immediately spotted the 2014 holiday Diptyque candles Hiver Winter and Resin Pine. Love the prints and colors. Epice Spice, Hiver Winter and Resine Pine. They smell as beautiful as Diptyques best sellers but I really didn’t bother to inquire more about them despite them being limited edition. Now that I think about it, I should’ve gotten a Resine Pine. Baies Black, Tubereuse Red, Figuier Green and Feu de Bois Gray. 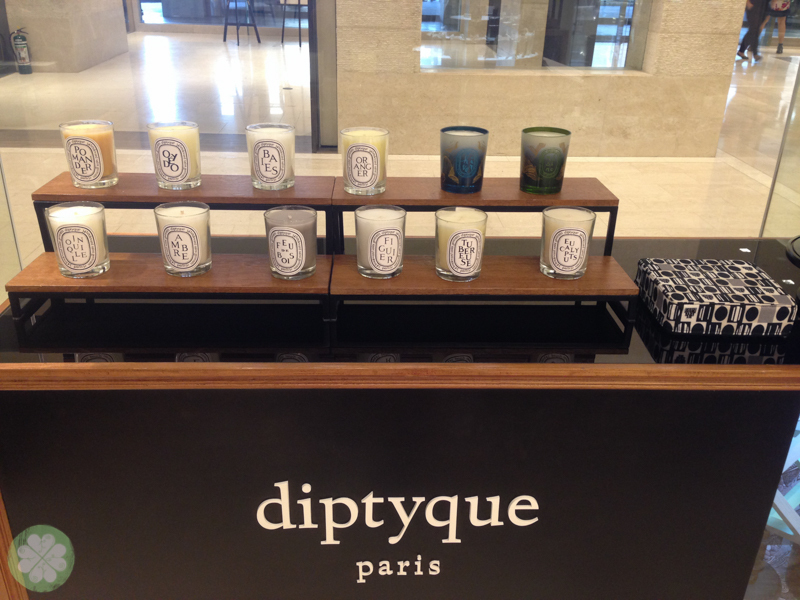 Aside from the classic Diptyque candles, they also have the colored ones which is practically the same as the classics. The only difference is the glass is mouth-blown and tinted with a shiny finish so the flames shine through. Ang taray lang! As if having a Diptyque candle isn’t enough that they feel it’s more special if it’s colored. Why not? As usual, I want the Figuier Green just because it’s green and the Baies ‘coz I can’t resist black. 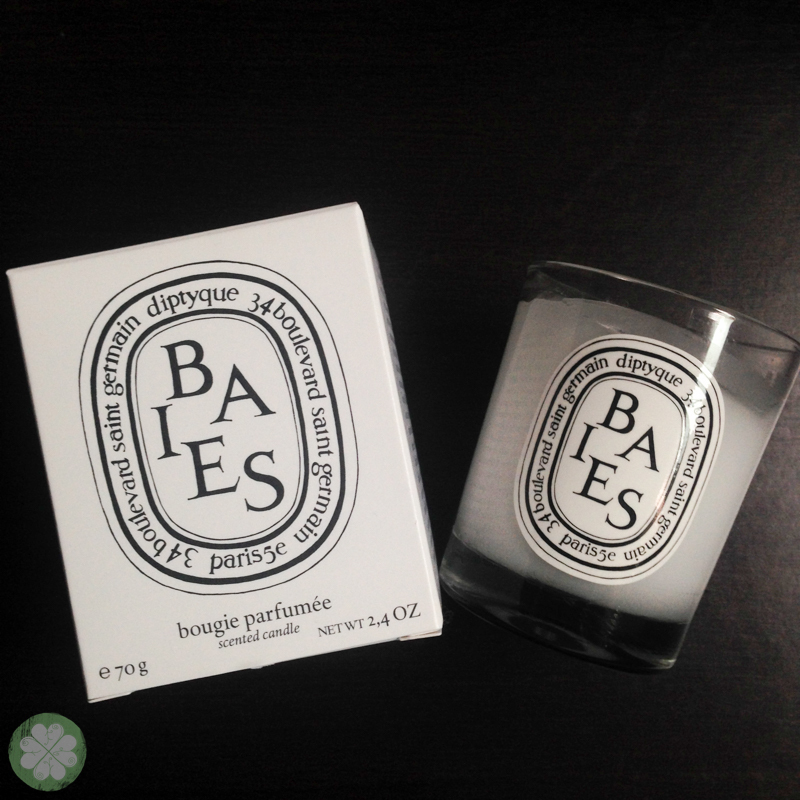 I forget how much this is (I should really take notes next time) but if you love Diptyque 34 scent, this one’s for you. 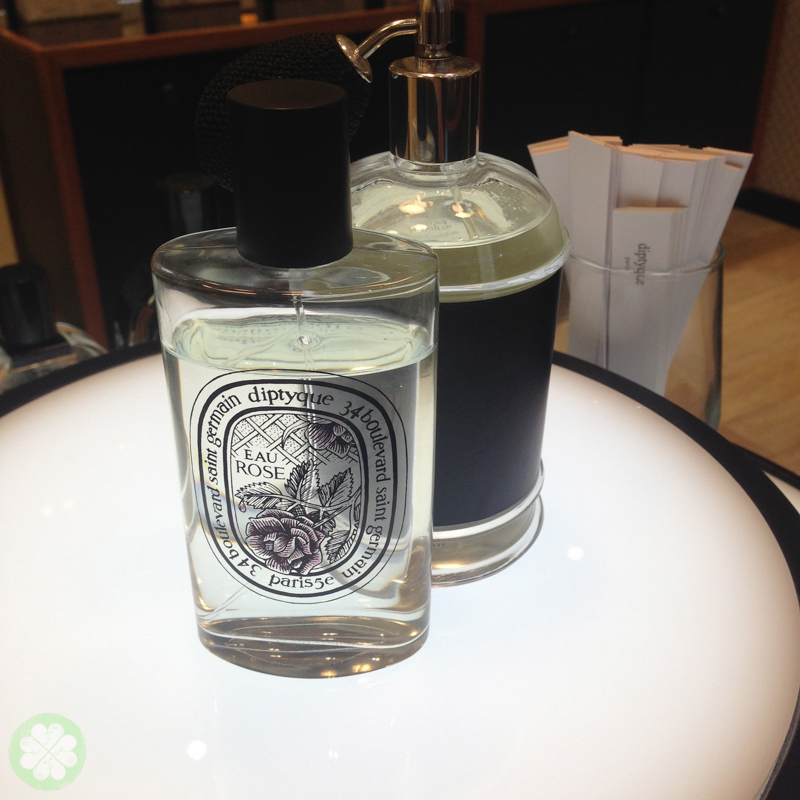 34 Boulevard Saint Germain is a fragrance that celebrates Diptyque’s 50th anniversary. 34 encauplates the scent of the its first boutique located on well, you guessed it! 34 Boulevard Saint Germain. The fragrance has an innovative and complex signature that is neither feminine nor masculine. 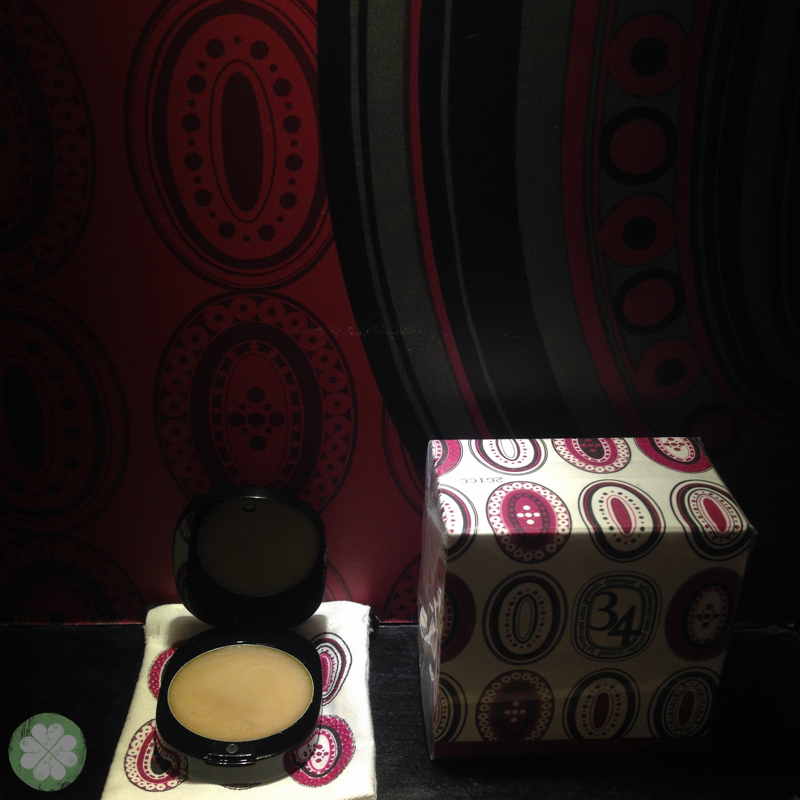 Aside from candles, Diptyque also has fragrances. 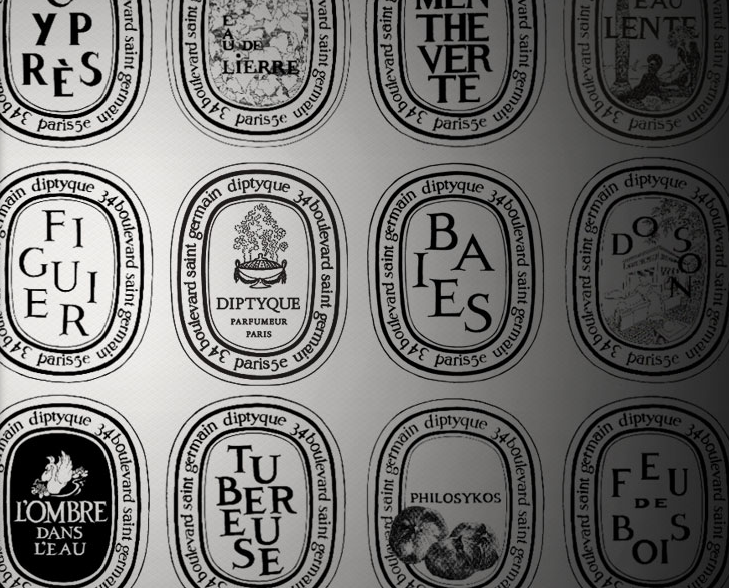 In 1968, Diptyque launched its first unisex eau de toilette- L’Eau. Since then, a few EDT have been created, bearing signature scents for both men and women. 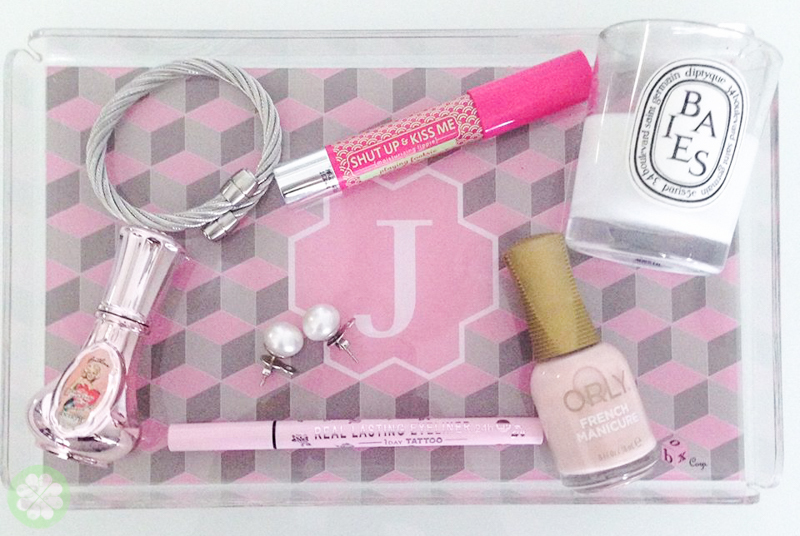 From Eau de toilette, to solid perfumes, now even roll-ons. Classic. Baies, Tubereuse, Figuier. The trifecta of fruity & floral Diptyque candles. Aaaaah. I want! Oh and I also want the wall paper. So as I was about to leave the premises, something stopped me. I couldn’t help it as the lighted Baies kept on making papansin. Intruding my nostrils, hypnotising me with its fruity and sophisticated scent. So I went home with a small Baies that costs P1,750. Eeeep. The most expensive candle I’ve ever own. Was it worth it? Definitely. 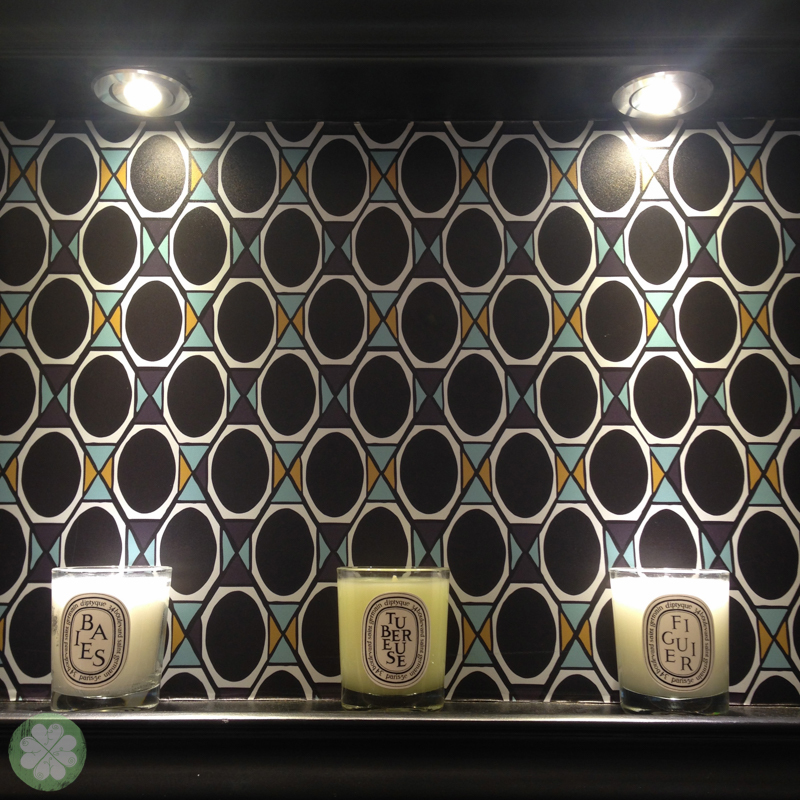 Of all the times I’ve tried aromatic candles, nothing beats a Diptyque. It’s made to burn for 30 hours (small candle) and it burns clean and evenly- no candle crater. I love every time our room is Baies-ified, (yes I made this up) so much so that I’ve been lighting it up everyday for at least 5 minutes just to get our room smelling sweet & fresh. 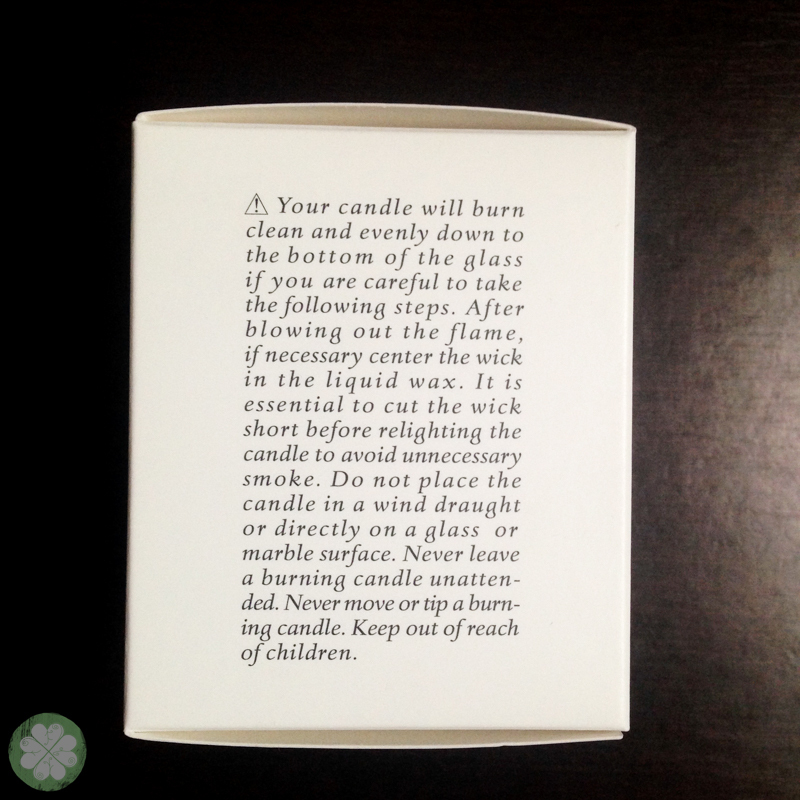 Some candle burning tips found at side of the Diptyque box. I am literally burning my money here! But for someone who is sightly obsessed with home scents, I think I’m going to save up for another Diptyque candle, or maybe two. Heehee. For me kasi, having a clean if not a clutter-free home wouldn’t be complete if it doesn’t smell lovely di ba? Pet peeve ko kasi yon e, so here I am justifying myself. Heehee. 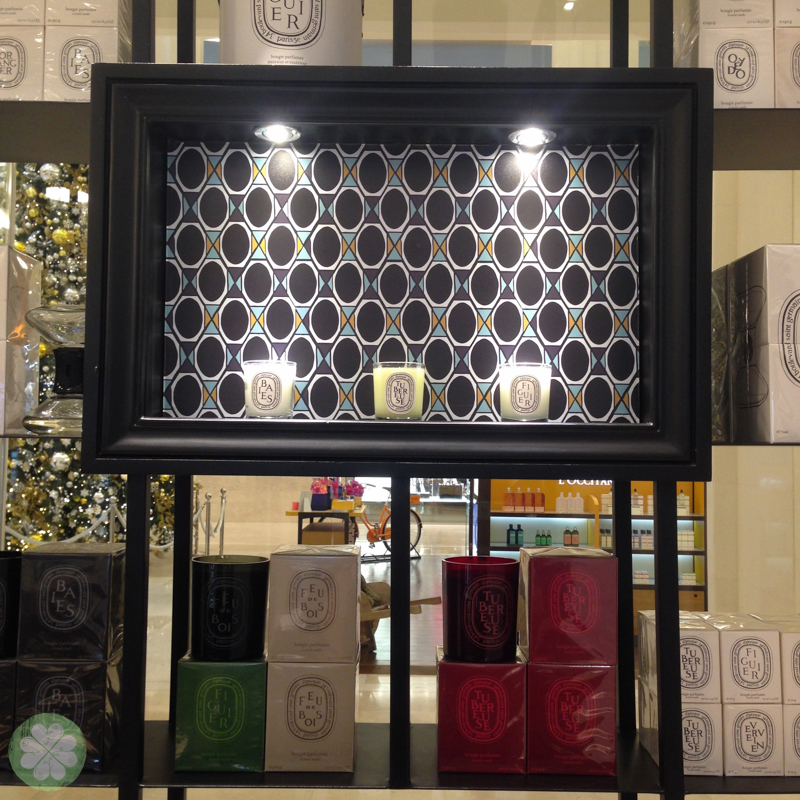 DIPTYQUE is available in Rustan’s Department stores too. Hi Jackie! Pretty vignette of the tray, candle and your kikay must haves 🙂 May I ask how much the scents go for? I always pass by the dyptique outlet but if forget to actually go in since I just go to the mall to do a quid grocery run or to move my parked car, haha! Hi Candz! Thank you 🙂 You mean the EDT? They go for 5k pesos for the 100ml if I’m not mistaken. The small candle is at 1,750 and the big one is at P3,250. 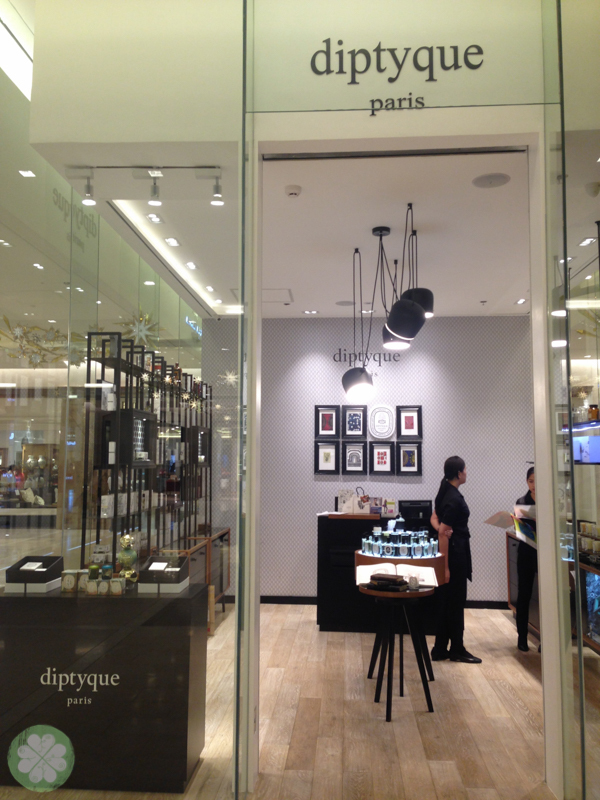 If you finally have the courage to enter Diptyque, be open minded to shell out money! Heehee. The intoxicating smell can really get to you. It’s a temptation! Heehee. Is this still existing there? Yes! At Bonifacio Central Square in BGC.